Democracy (rule by the people), and specifically liberal democracy (democracy with individual rights and freedoms protected), is a central and precious part of our heritage. But now, in Britain and around the world, it is in danger. Political philosophers, social scientists and psychologists are considering how and why, and whether they can and should do more. 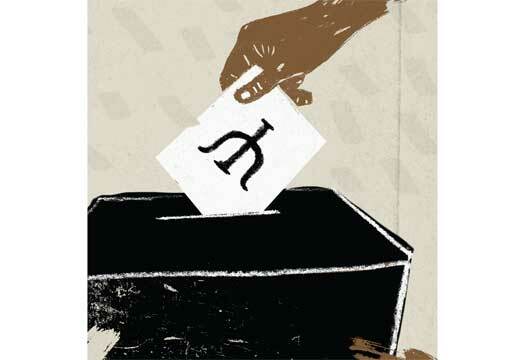 The first danger to democracy, evident for decades, is that it is at risk of withering as voter turnout at general elections in many countries declines, from 84 per cent in Britain in 1950 to 66 per cent in 2015. Secondly, and probably partly responsible for this, there has been a 30-year decline in trust in government (Jennings et al., 2016). An Ipsos MORI poll published in January 2016 found that only 21 per cent of Britons trust politicians to tell the truth, far behind doctors (89 per cent) and teachers (86 per cent). A recent European survey, reported in David van Reybrouck’s Against Elections: The Case for Democracy found similar results. A third threat is growing political ignorance. Effective democracy requires that people know what they are voting for, but increasingly news is obtained from social media, where personalised newsfeeds reinforce the reader’s worldview. Extensive (American) survey data (Achen & Bartels, 2016) show that political ignorance is widespread, and voters are generally swayed by the last six months, typically rewarding or punishing politicians for events over which they have probably had little or no control. The quality of political discourse is increasingly detached from both reason (logical coherence) and reasonableness (avoiding accusations, tolerating irreconcilable differences and crediting opponents with good faith (Rawls, 2005). Around the world reasonable discussion is being replaced by post-truth politics and populism, where truth and consistency are unimportant, debate is increasingly personal, and a simplified world is portrayed, with a virtuous and homogeneous ‘us’ against an elite or alien ‘other’ (see Julian Baggini’s The Edge of Reason). Pluralism – accepting and respecting other perspectives – is a casualty. Other kinds of behaviour, especially, but not only, in America, are breaking ‘the guardrails of democracy’ (Frum, 2016). These are conventions previously accepted by politicians of all parties but now increasingly abandoned: the pursuit of some vision of a common good, trustworthiness, knowledge of public affairs, adherence to some principles, accepting the primacy of national security, tolerance, and respect for political opponents. In Britain and America the independence of the judiciary and the integrity of the democratic process have recently been directly challenged by news media and senior politicians. And there are widening political divisions: in Britain during the Brexit debate, and even more so in America where the breadth of the cross-party divisions has in recent years led to repeated government paralysis. The final threat is external: growing global insecurity. Political sluggishness and sometimes paralysis through widening divisions in parliaments means that democratic governments lose both popular legitimacy and efficiency. While Western democracies disagree within and between their parliaments, Russia and China are efficiently decisive, claiming new status and territory, and challenging the current world order. Alongside this there are external and internal threats posed by radical Islamist groups and the rise of the far right in many countries. In summary, democracy faces dangers that are passive and active, internal and external, and together they place its future in danger. How has this situation arisen? To begin with detachment from politics, surveys (Jennings et al., 2016) show that the strongest underlying factor is the perceived flawed character of politicians, and in particular their fixation with headlines and protecting their own interests and those of the rich and powerful. Detachment in turn is a likely main cause of voter ignorance. Changes in the style of political behaviour – the rise of post-truth politics and populism – seem part of a wider retreat from reason, illustrated during the Brexit campaign by Michael Gove announcing that ‘people in this country have had enough of experts’. The changes in political discourse also reveal the weakening of a shared moral basis for politics. This is surely the significance of the breaking of the guardrails of democracy, and reflects what American political philosopher Michael Sandel calls ‘the moral vacancy of contemporary politics’. Sandel links this to ‘market triumphalism’; the extension of the market mechanism and market values into more and more spheres – moving from having a market economy to being a market society. Everything must be ncreased prosperity for one group or another. Widening political divisions have frequently been linked to growing economic inequality. In Capital in the Twenty First Century, Thomas Piketty presents a vast amount of evidence in support of his account of the economic processes fuelling inequality, and argues that social and economic instability is likely to worsen further, eventually threatening the democratic order. Internationally, as austerity remains the chief remedy for government budget deficits, the poorest are most affected, so inequality increases further. Piketty’s warnings are supported by extensive international data presented in books such as Richard Wilkinson and Kate Pickett’s The Spirit Level and Joseph Stiglitz’s The Price of Inequality, showing a strong relationship between inequality and various measures of mental and physical health, personal and social wellbeing, and (most relevant here) trust, social cohesion and political stability. More widely, economic hardship has historically been thought to prompt the rise of the far right; and the effective humiliation of Russia after the demise of the Soviet Union in 1991 is surely a major reason for the actions and popularity of a nationalist president now bestriding the world and claiming influence and territory. We turn next to the mechanisms through which these social changes result in dangers to democracy. have been proposed. Wilkinson and Pickett, having demonstrated rising levels of anxiety and depression, argue that, since the 1980s, these have led to increased ‘evaluation anxieties’. They propose that this is because greater inequality increases the perceived importance of social status, which then damages social cohesion, leading on to the various social ill-effects that they clearly document. Although these authors present rather little evidence for ‘evaluation anxieties’ as a causal mechanism it is a plausible explanation, supported indirectly by Arlie Hochschild’s interviews with people in ‘rust belt America’, from which social comparisons emerge as prominent. As industrial decline and cuts in government services cause economic hardship, Hochschild’s participants see ‘big government’ appearing to support minority groups. They feel abandoned and resentful, and existing emotional and political divisions are widened. This explanation is supported by Gallup Poll data summarised in The Economist last year showing the perception by Trump supporters of being bypassed and neglected economically, and resenting cultural changes. Populist and post-truth politics appear designed to exploit these resentments as well as existing prejudices. This process of evaluation and consequent resentment makes understandable the apparent paradox that many of the constituencies that voted most strongly for Brexit in Britain and Trump in America stood to lose most from their victories. Voting in these cases appears economically irrational. Surprisingly perhaps, voting is frequently guided by emotion rather than reason, and this is not a function of political ignorance, as it appears most prevalent in the case of more sophisticated voters (Miller, 2011). But these psychological accounts largely address the reasons why people who feel economically and culturally alienated might withdraw from political participation or make protest votes. What about the disaffected or angry people who are not economically disadvantaged? Another likely relevant factor is political and social values, which account for a substantial portion of the variance in voter choice. Prominent amongst several recent models of the values underpinning political attitudes, Shalom Schwartz describes ten fundamental value types or goals. He shows that they are organised as a two-dimensional array linked to political ideologies. One dimension is self-direction and stimulation versus security, conformity and tradition. The other is universalism and benevolence versus achievement and power. Barnea and Schwartz (1998) found that liberal voters in Israel gave highest priority to self-direction and universalism whereas those on the right most valued security and maintenance of the status quo. Similarly, in Italy, Caprara and colleagues (2006) showed that centre-left voters most valued universalism and benevolence while the centre-right valued power, achievement, security and conformity. But although these typologies can account for the familiar left–right dimension, they are less clear on the question why so many people opted for Brexit and Trump, as both represented radical rather than conservative choices. As several commentators have noted, these choices appear driven by earlier rather than current visions of security, tradition and conservatism. Rather similar to Schwartz’s model is Jonathan Haidt’s moral foundations theory. From international questionnaire studies Haidt shows that six foundations underlie moral judgements: care/harm, liberty/oppression, fairness/cheating, loyalty/betrayal, authority/subversion, and sanctity/degradation. Haidt’s data show that the more liberal (American left wing) a person’s political views the more likely they are to value the foundations of care/harm and fairness/cheating and to have little concern with the others. The more conservative the person’s politics the more the others are salient. The first implication here, as with the other typologies, is that the main political division is not economic but value-based. Haidt’s data show secondly why citizens and politicians on different sides are likely not just to disagree but to have trouble opponents’ views: what is fair or right has different meanings for people with these different value sets. However, these findings do not explain the wide acceptance of the dishonesty of post-truth politics. During his presidential campaign Trump made false allegations, repeated racist and misogynist statements, and refused to release his tax records. Although Hillary Clinton was an unpopular and flawed opponent, Trump’s victory seems to reveal a lack of concern about morality in public life. Perhaps the detachment and resentment discussed earlier contributed to a rejection of moral values associated with the sneered-at establishment. An added factor may be a modelling or habituation process, with moral standards seeming less important, as some politicians and affluent and prominent people display dishonesty, tax avoidance and evasion, and are not punished or even consistently condemned by their peers. There is a broad consensus that inequality is a central cause of political detachment and resentment, and therefore economics a main part of the solution. Economic remedies focus on investment, stimulation, economic growth and more progressive tax structures in place of austerity. Stiglitz, Piketty and others have summarised them and the evidence base for them. Likewise, political solutions are not a main concern here, but could include first replacing the current majority election system with proportional representation: strengthening the relationship between voting behaviour and outcomes could increase motivation to vote. Democratic participation could also become a more thoughtful and engaging process through the use of deliberative democracy or sortition. These have been lively topics in political philosophy in recent decades, in the work of James Fishkin, Joshua Cohen, Amartya Sen and others. In Against Elections, David Van Reybrouck gives examples of sortition – selection by random sample, almost like for jury service – operating successfully in a number of countries. More relevant to us is the conclusion of Jennings et al. (2016) that the challenge in countering detachment is to get politicians to behave differently. This should probably involve not just reducing their perceived concern with publicity and self-interest but also changing the current style of political argument, to display and model rational and reasonable discussion. The main point of Julian Baggini’s book is to argue for a less restrictive, and therefore more widely acceptable, concept of reason. He suggests ways in which the adoption of this could make arguments more productive. Similarly, the moral vacuum could begin to be filled if politicians spoke more about elements of a worthwhile life other than increasing material prosperity, and more often sought to justify policies on moral rather than economic or electoral grounds. Most of the dangers discussed here – detachment, distrust, political ignorance, social divisions, unreason and the moral vacancy – are psychological in nature. The psychological health of democracy in Britain and elsewhere is at risk. How could psychology help more? First, politics should be more strongly identified as a concern for psychological research and action. The recent proposal for a Political Psychology Section of the British Psychological Society is timely and should be supported. However, we already have relevant psychological evidence that could be acted upon, right now. Research on values would be a useful starting point, and indeed, Jonathan Haidt has called for psychologists to work with political scientists to identify changes towards ‘more civil politics’. This is a feasible goal because Haidt found common moral ground across the political divisions. Despite the different priorities attached to different values, and probably differences in the meanings attached to them, value sets overlap. Understanding these differences would be a basis for respectful and constructive dialogue. The purpose could be to build what Haidt calls moral capital; interlocking but not necessarily identical sets of values and norms. These values would essentially be the moral ingredients of citizenship in any liberal democracy. A developing psychology strategy could also be informed by Paul Nesbitt-Larking’s 2016 Presidential Address to the International Society of Political Psychology in which he argues for an unashamedly normative perspective: shouldering our responsibilities as citizens and psychologists to engage socially, employing both our systematic knowledge and our values. Beyond these possible starting points there are psychological research needs. How robust are the explanations linking detachment, resentment and protest votes to inequality and cultural changes? If further research confirms them, what are the psychological mechanisms through which they operate? Linked to this, research on political values needs to be replicated and extended with British participants. Values, and the extent to which particular values are shared across the political spectrum in Britain need to be explored. Other psychologists involved early on would no doubt identify other research needs. Among other things, the results should inform the promotion of engagement (as advocated by both Nesbitt-Larking and Haidt) in place of dismissal or avoidance, which are increasingly consequences of the growing divisions, and should help to revitalise interest and involvement in politics. Achieving these aims would require the evidence on underlying political values to be communicated to politicians and widely disseminated. As Haidt argues, politicians need to take more account of the range of sincerely held but different moral standpoints to communicate beyond their existing supporters and thus narrow the divisions. Other work for psychologists, in collaboration with other groups and professions, could concern the promotion of more reasonable and morally justifiable public discussions, and contributing to strengthening citizenship education as suggested above. Similarly, psychological evidence could support the case for the development of new deliberative democracy systems and assist in planning their implementation. Despite still widening divisions there is room for optimism as more voices are raised warning of the current dangers to democracy. Psychology should be one of the voices, both warning and contributing to solutions. - Roger Paxton is a retired clinical psychologist (was Psychological Services Lead and R&D Director at Northumberland, Tyne and Wear NHS Foundation Trust). Achen, C. & Bartels, L.M. (2016). Democracy for realists: Why elections do not produce responsive government. Woodstock: Princeton University Press. Baggini, J. (2016). The edge of reason: A rational skeptic in an irrational world. London: Yale University Press. Barnea, M.F. & Schwartz, S.H. (1998). Values and voting. Political Psychology, 19, 17–40. Caprara, G.V., Schwartz, S.H., Capanna, C. et al. (2006). Personality and politics: Values, traits and political choice. Political Psychology, 27, 1–28. Fishkin, J.S. (2002). Deliberative democracy. In R.L. Simon (Ed.) The Blackwell guide to social and political philosophy (pp.221–238). Oxford: Blackwell. Frum, D. (2016, 31 May). The seven broken guardrails of democracy. The Atlantic. Hochschild, A.R. (2016). Strangers in their own land: Anger and mourning on the American right. New York: The New Press. Jennings, W., Stoker, G. & Twyman, J. (2016). The dimensions and impact of political discontent in Britain. Parliamentary Affairs, 69(4), 876–900. Miller, P.R. (2011). The emotional citizen: Emotion as a function of political sophistication. Nesbitt-Larking, P. (2016). ‘We got to live together’: The psychology of encounter and the politics of engagement. Political Psychology, 37(1), 5–16. Piketty, T. (2014). Capital in the twenty-first century. Cambridge, MA: Belknap Press. Rawls, J. (2005). Political liberalism(Expanded edn). Chichester: Columbia University Press. Reybrouck, D. Van. (2016). Against elections: The case for democracy. London: The Bodley Head. Sandel, M. (2013). What money can’t buy: The moral limits of markets. London: Penguin. Schwartz, S.H. (1992). Universals in the content and structure of values: Theoretical advances and empirical tests in 20 countries. Advances in Experimental Social Psychology, 25(1), 1–65. Schwartz, S.H. (1994), Are there universal aspects in the structure and contents of human values? Journal of Social Issues, 50(4), 19–45. Schwartz, S.H., Caprara, G.V. & Vecchione, M. (2010). Basic personal values, core political values and voting: A longitudinal analysis. Political Psychology, 31, 421–452. Stiglitz, J.E. (2013). The price of inequality. London: Penguin.